Heat oil in a wok and fry ground spice ingredients over medium low heat until aromatic. Add tamarind juice. Fry for a while. Add dried shrimps. Stir-fry until well combined. Add kaffir lime leaves and seasoning. Reduce the heat and keep frying until mixture is dry and crumbly (to the desired texture). Dish out and leave to cool. 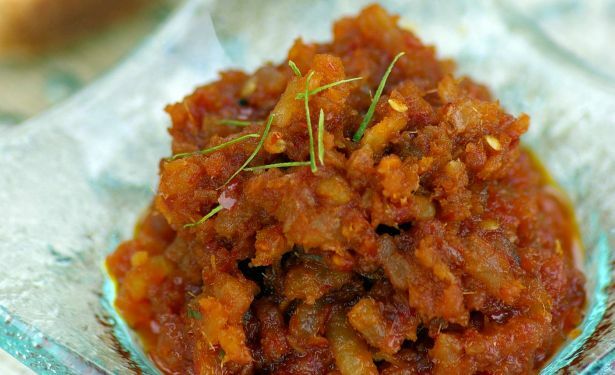 This sambal can be spread on bread slices or even served as a condiment for fried rice.